Which is what Kyani is banking on with their elite, health-based product line. Kyani is a superfood MLM that primarily focuses on wild Alaskan blueberries, Omega 3s, and stem cells. 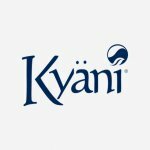 From a small family business started in Idaho Falls, Idaho, to a worldwide company, Kyani has grown quite substantially since its beginning in 2005. The promise to globalize health with their product is quite ambitious; however, they have crept into 44 countries worldwide since 2005. 1. What does Kyani sell? Kyani was founded on the lofty ideal of bringing wellness to as many people as possible. To that end, they have two product lines: nutritional supplements and skin care. Their wellness supplements are designed to improve your health from the inside out, and the skin care is meant to support wellness from the outside in. 2. What are Kyani’s most popular products? Kyani’s most popular product is their Triangle of Health, a wellness system powered by Nitro Nutrition. Included in this set is Kyani Sunrise, Kyani Sunset, and Kyani NitroFX. Kyani Sunrise, a liquid dietary supplement that features a blend of 22 natural superfoods along with wild Alaskan blueberries, helps you start the day with a burst of nutrition. Kyani Sunset gives you your daily dose of Omega 3s and Vitamin E. Kyani NitroFX, a proprietary blend of Noni concentrate that increases the body’s natural production of Nitric Oxide (NO), is supposed to help you on a cellular level. 3. How much does it cost to join Kyani? Joining Kyani is pricier than most other MLMs. To become a distributor, you must purchase an enrollment pack. The cheapest, which they call the Welcome Kit, costs $89 and doesn’t include any products. At this level, you’re extremely limited in the amount of money you can earn: You only get $10–25 for the people you sponsor, and you don’t qualify for Openline Bonuses or advances. Other enrollment packs range from $399 to $1,299. With these, you qualify for Openline Bonuses, all rank levels, sponsoring bonuses, and commissions. So if you can’t make an initial investment, you’ll struggle to build your business. 8. How many Kyani distributors are there? Kyani hasn’t shared any numbers; however, a class-action suit against Kyani included more than 100,000 members. Either way, here’s the full review on Kyani. With only two lines of products, the company aims to improve your health inside and out. The Kyani Sunrise is a combination of blueberries with pomegranate, cranberry, and Ginseng among other powerful antioxidants. One standard order of the Kyani Sunrise includes 30 pouches at one fluid ounce each. Kyani Sunset contains a secret mix of EPA and DHA from fish oils along with vitamins A, E, and D. The combination allows our bodies to absorb all the nutrients from our diet from the day. There are 90 gels in one bottle. Kyani Nitro FX is an energy booster containing Noni juice. Noni juice is from a nitrate plant that replenishes Nitric Oxide which is able to pass through cell membranes and vastly improve the efficiency and function of the cell. You can buy it in an 8 pack of shot-sized bottles or a larger bottle with roughly 4 servings. Kyani Nitro Xtreme is a bit more concentrated blend of Noni juice but also contains CoQ10 and Zinc, as well as B3. You can also buy this in the 8 pack or the large bottle. The Kyani Nitro Xtreme can also be bought in powder form for on-the-go convenience. The key ingredient of Fleuresse is plant stem cell extracts from a rare variety of Swiss Apple that has the unique ability to stay fresh much longer than other varieties. Marketing is a great way to make money with very little time consumption; however, when you become a distributor for Kyani you may need to spend a bit more time getting your business off the ground than you think. It is true that the company offers training for beginners so you can form the right techniques and build your clientele. These include tutorials, presentations, product guides, and cold-calling dialogues for you to study (similar to Senegence). For an MLM company, Kyani is ideally a great company to work with. You won’t have to store a wide array of products since there are only two lines with limited selection. You can make 30% commissions of your own sales which is significantly more than most companies. And you can also receive some bonuses as you climb the ladder. These include Sponsor Bonuses, Fast Start Bonuses, and Incentive Trips. The company is accredited by the BBB with a fantastic rating. Eleven years is a significant amount of time for an MLM business to be successfully progressing into the global economy. In addition, the company products are under constant research and development from renowned doctors and scientists. The products are made of proven superfoods that are good for your body. The worst part of the business of Kyani is that it is substantially more expensive than most of its competitors in the market. This makes it hard to buy and hard to sell. Although the product has a great record among consumers, this may not be enough for some hesitant people and lower-income households to make the purchase. If you want to join, you have to find a sponsor who is willing to give you their id number to use on your application. This makes it difficult for anyone new to the product who wants to become a distributor. In addition, you have to pay fees to access marketing tools that are most likely necessary for a successful career with the company. This is not common in the MLM business. Usually, the company gives you all the tools you could want or need to build your career. Kyani Inc. is a distributor, via MLM fashion, of dietary supplements and skin care. The company was started in 2005 and has over a decade of experience in the business. The products are made of Alaskan blueberries and Alaskan Salmon among many other natural resources. High price tags deter many from buying the product and the expensive startup deters many from becoming a distributor. Their promise of bringing well-being to everyone around the world stops short when you think of the many impoverished around the world that can never afford it. The company is accredited and has received very little bad press so it is possible that the products they make are effective. However since most can’t buy them, we know the results are not very even-keeled in terms of how healthy or sick the consumers are before they begin the regimens.